Minneapolis-based Drake’s Organic Spirits has agreed to sponsor the Daytona International Speedway and will serve its latest ready-to-drink (RTD) product at the racing event. Drake’s Organic Spiced Ice has an abv of 15% and fewer than 90 calories. It is available in five flavours. The brand’s organic vodka and organic white rum will also be served at the Daytona International Speedway event during the Monster Energy NASCAR (National Association for Stock Car Auto Racing) Cup Series, NASCAR Xfinity Series and NASCAR Gandar Truck Series motorsports racing events. The partnership also includes promotional support, hospitality and additional assets during key event weekends. Mark Anderson, Drake’s founder and CEO, said: “We are thrilled to partner with Daytona International Speedway to introduce Drake’s Organic Spirits to the hundreds of thousands of race fans who pour into the facility for great events ever year. Drake’s Organic Spirits recently released a pre-mixed range of alcoholic beverages, including Drake’s Organic Mojito, Drake’s Organic Moscow Mule, Drake’s Organic VodkaRita, and Drake’s Organic Bloody Mary or Hot Mary. A portion of the proceeds from sales of Drake’s Organic Spirits and Organic Mixes go to the Long Lake Animal Rescue foundation. 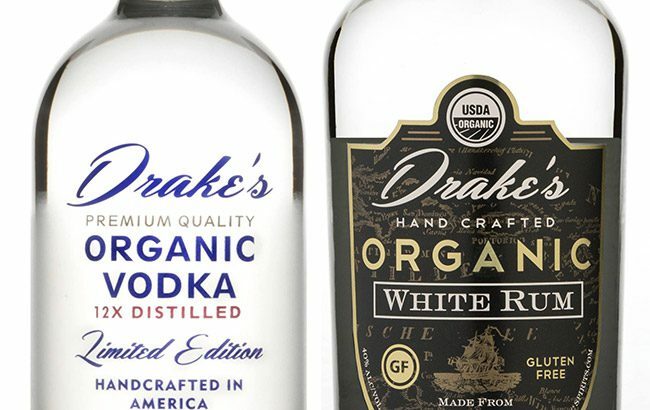 Last month, Drake’s Organic Spirits signed a distribution agreement with Southern Glazer’s Wine & Spirits as it moves to grow its presence in the US. Drake’s has also grown internationally, launching its products in Puerto Rico, Canada, Guam, China and the Philippines.